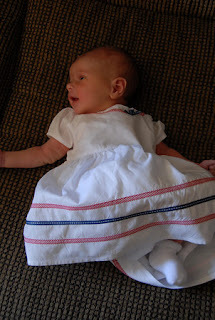 Here's Abby in her Fourth of July outfit given to us by the Clappers. We spent most of the evening at the Durrs house for a BBQ. At was a Durr/Kern get together. Everyone went to our house after dinner to check out fireworks on American Lake.